Payment Mode- Online(Credit/Debit Card/Net Banking) or SBI E Challan. Passed Intermediate(12th) Exam from any Recognized Board. Eligible Candidates can Submit Online Application at the Official Website of CISF Latest by 25th February 2019. 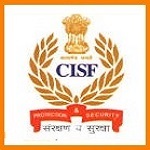 Applicants First Open CISF Official Website.